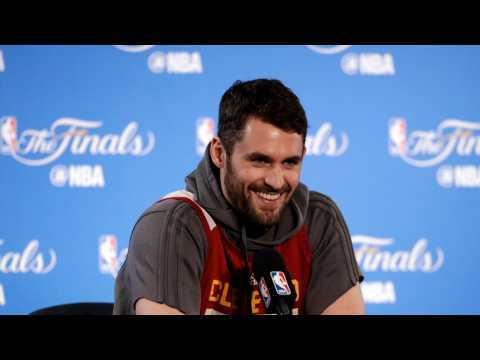 In a post for Derek Jeter's Players' Tribune, Cleveland Cavaliers star Kevin Love opens up about a panic attack he experienced during a game this past November. Love writes, "It came out of nowhere. I'd never had one before. I didn't even know if they were real. But it was real ? as real a broken hand or a sprained ankle." Love goes on to add that he ended up on the floor of the team's training room, struggling to breathe. Cape Town ? Selena Gomez is celebrating her first American Vogue cover and looking damn good doing it! See her stunning floral cover here: The Same Old Love hitmaker is also getting super-real about her decision to cancel her Revival tour and booking into a psychiatric facility in Tennessee in her cover interview. When talking about why she cancelled her tour - which still had more than 30 shows to go ? off, Selena tells Vogue?s Rob Haskell: ?Tours are a really lonely place for me. Basically I felt I wasn?t good enough, wasn?t capable.? ?Jane the Virgin? returns Monday night with its second season, and a baby ? or does it? The Season 1 finale of the CW?s critically-acclaimed breakout ended with a major cliffhanger, as Jane?s long-awaited baby Mateo was kidnapped from the hospital, moments after the virgin mother gave birth. All signs point to villain Sin Rostro, but viewers won?t find out who took the newborn until the new episodes begin ? with a very nervous new mother in Jane. Actress Gina Rodriguez Rodriguez told Variety, "I definitely want her to go into motherhood not losing herself, not losing sight of her dreams. I want to live in the world of showing how a woman will go through these roles of losing herself and maybe fear, and then learning how to overcome that and learning how to refocus and how to do them both at the exact same time. I definitely want to go through that journey and see her establish a foundation for the family. ?